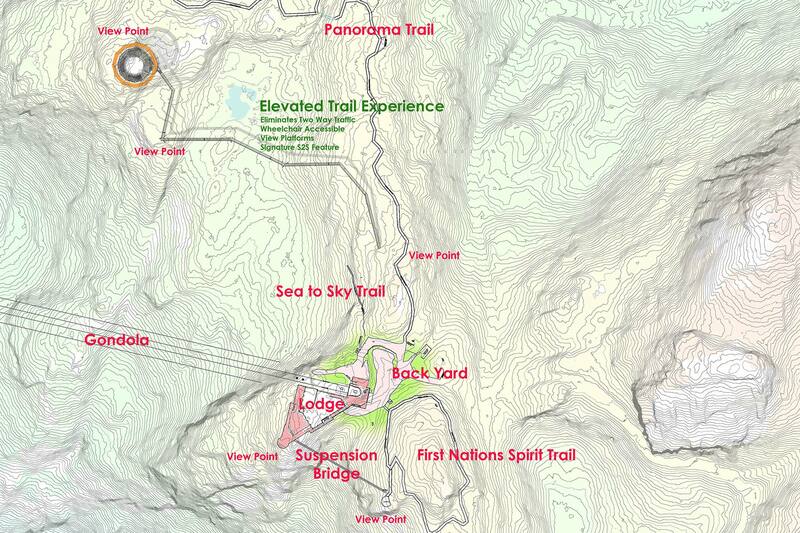 The largest tourist attraction business in the Squamish area announced today it is planning to build a major addition that will expand its mountaintop offerings. 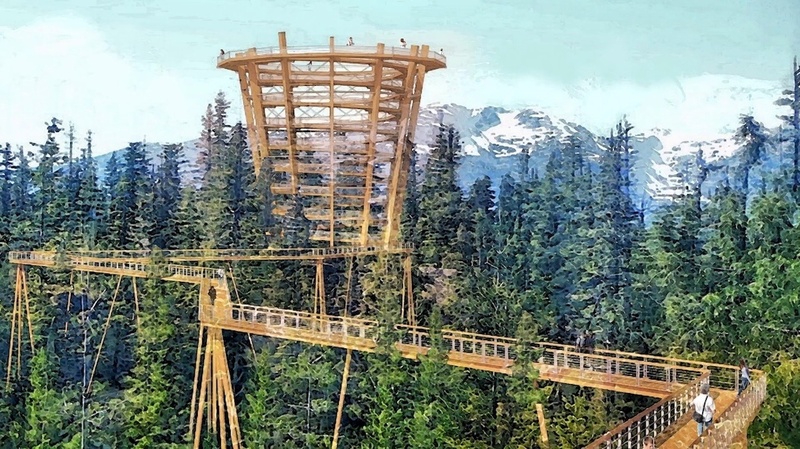 Sea to Sky Gondola is building a 2.5-km-long elevated tree walkway through the trees and over the wetlands along Panorama Ridge, and this includes a unique, spiral walkway that hovers over 34 metres in height to provide 360-degree panoramic views. The spiral architecture of the walkway provides cover to allow for year-round, weather-independent sightseeing. The walkway’s entire design is fully accessible to all users. The project will be built in a way that minimizes the environmental footprint and ensures the wetlands are protected. “The elevated trail experience will preserve, connect and enhance access to natural areas while protecting environmentally sensitive areas,” reads the project’s description. Construction is scheduled to begin in fall 2019 for an opening in spring 2020, but this is subject to remaining permit approvals from Squamish Lillooet Regional District and the provincial government. The Sea to Sky Gondola opened in 2014 and is located near Stawamus Chief Provincial Park and Shannon Falls. Its gondola system takes visitors up an elevation of about 900 metres, where current attractions currently entail a lodge with eateries, multiple viewing platforms, a suspension bridge, and a network of trails. 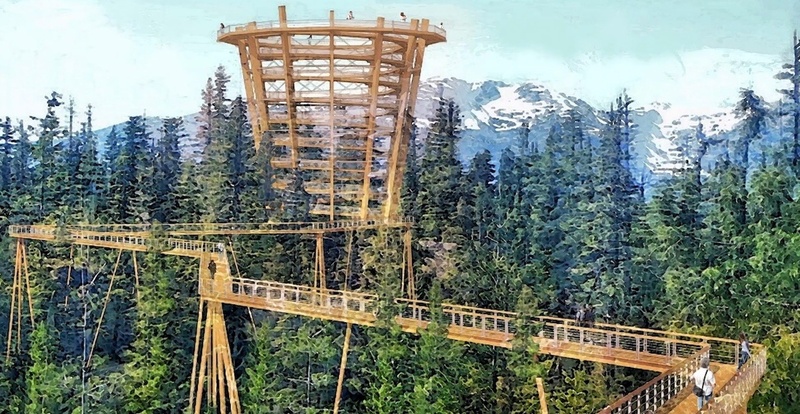 The addition of an elevated tree walkway allows the Sea to Sky Gondola to better compete with other expanding attractions and destinations along the Sea-to-Sky corridor, particularly Whistler Blackcomb, which has opened a number of new hiking trails in recent years and a mountaintop suspension bridge.